Isn't my mum super cute?! She owns, in my opinion, the best home decor store around. 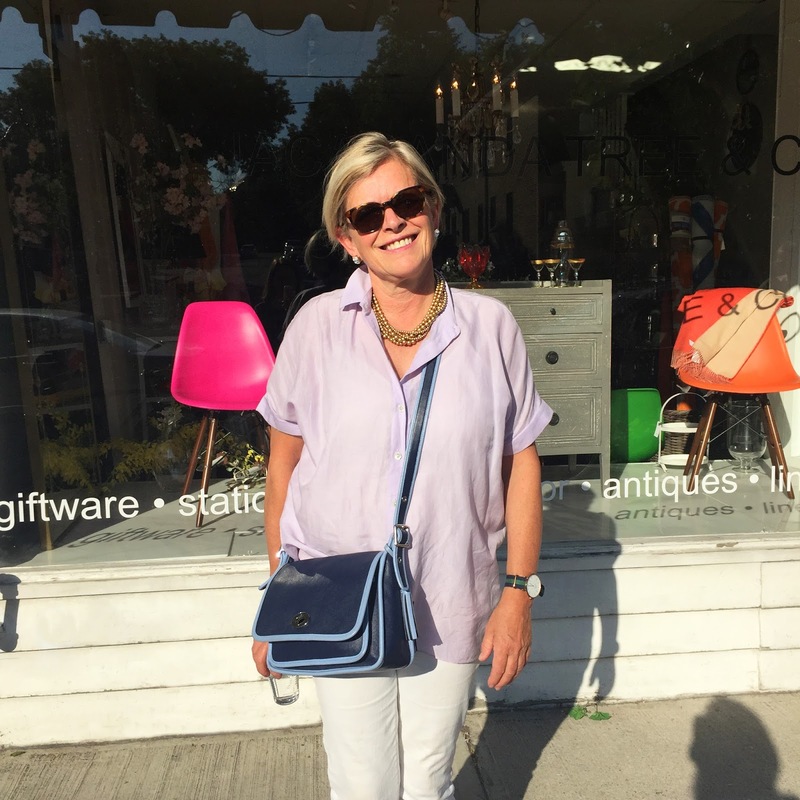 If you haven't already been to Jacaranda Tree & Co, be sure to pop in and say hello when you're in Toronto strolling along Mount Pleasant Road. This is a picture of her in front of her shop! We went out for dinner to Boland's Open Kitchen which is a couple doors down from Jacaranda Tree. One of the wonderful things about Mount Pleasant Village is that all of the shops and restaurants care to get to know you and treat you like a friend. Chris Boland is the owner and head chef at Boland's and he always makes a point of coming over to our table, sitting down with us and catching up on our lives. He rocks and if you're in the neighbourhood and looking for a nice home cooked style meal and great company, head on over to Boland's.